I recently received three tubs of Quark soft cheese, courtesy of the Lake District Dairy Co. Quark is a type of soft cheese that really deserves more attention than it currently gets. Quark soft cheese is extremely versatile and can be used in place of cream cheese or fromage frais in sweet or savoury recipes. Quark provides a good source of protein, and because it’s low in calories and fat, it’s a fantastic choice for slimmers. The Lake District Dairy Co. have three varieties of Quark:- Natural, Vanilla and Lemon. Per tablespoon, the natural has 19 calories, compared with around 70 calories for full fat cream cheese. The lemon Quark is slightly sour with a tangy lemon flavour and is creamy and smooth. It’s more like fromage frais or a thick yogurt than cream cheese. The vanilla Quark tastes lovely when mixed with strawberries or banana and also works well in a smoothie. The plain Quark is multi-versatile and works well in sweet or savoury dishes. I decided to use the lemon Quark in a recipe for a low GL lemon cheesecake, taken from the Patrick Holford LOW GL recipe book (see below). 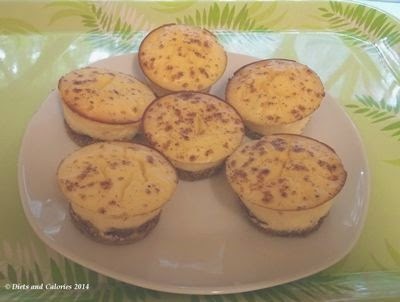 Rather than make one large cheesecake, I made 6 small ones using half the ingredients. 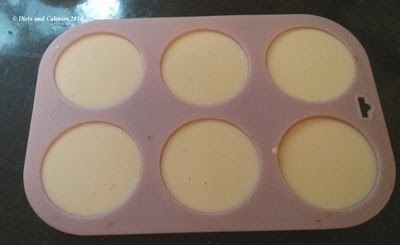 The recipe below is for one cheesecake to serve 8 people. Gently melt oil or butter in pan (don't boil), them remove from heat. Stir in base ingredients and firmly and evenly press mixture into cake tin base. Bake for 10 minutes then leave to cool. Increase oven temperature to 170C/325F/gas mark 3. 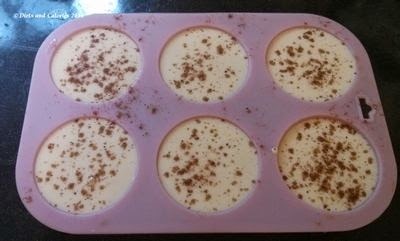 Blend filling ingredients until smooth and carefully pour into cake tin of muffin tins. (I sprinkled cinnamon on top at this stage). Bake for 40-45 minutes or until filling is set. Allow to cool before cutting or removing from individual tins. Lake District Dairy Co. Quark can be found in most larger supermarkets costing around £1.25 each. Nutrition information per 100g (natural): 63 calories, 11.6g protein, 3.1g carbs, 3.1g sugars, 0.4g fat, 0.2g saturates, less than 0.5g fibre, less than 0.1g salt. Nutrition information per 100g (vanilla): 96 calories, 8.9g protein, 14.1g carbs, 12.3g sugars, 0.1g fat, 0.1g saturates, less than 0.1g fibre, 0.1g salt. Ingredients: Quark (from milk), Vanilla 14% (Sugar, Glucose Syrup, Water, Maize Starch, Natural Flavouring, Natural Colour: Plain Caramel, Vanilla Seeds). Nutrition information per 100g (lemon): 76 calories, 9.2g protein, 8.5g carbs, 7.6g sugars, 0.4g fat, 0.3g saturates, less than 0.5g fibre, 0.1g salt. 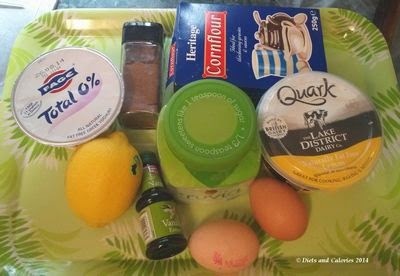 Ingredients: Quark (from milk), lemon 10% (water, sugar, glucose syrup, concentrated lemon juice, maize starch, natural flavouring, natural colouring: curcumin).